2012 Wedding Fever seems to have hit Frenchpark Village with the Church been kept busy with lots of Weddings and many more village connections abroad and elsewhere..
Congratulations to Ciara Noone daughter of Peter and Marion Noon e, Frenchpark and Andrew Regan son of Andrew and the late Margaret Regan Ballaghaderreen.. who celebrated their Wedding in St Asicus’s Church on the 9th of June. The Reception was held in the Sheraton Hotel Athlone. Congratulations and Best Wishes to Sheena Farrell daughter of Tom and Patsy Farrell Frenchpark and Ultan Mulleady son of Micheal and Ursula Mulleady Ballinagare. 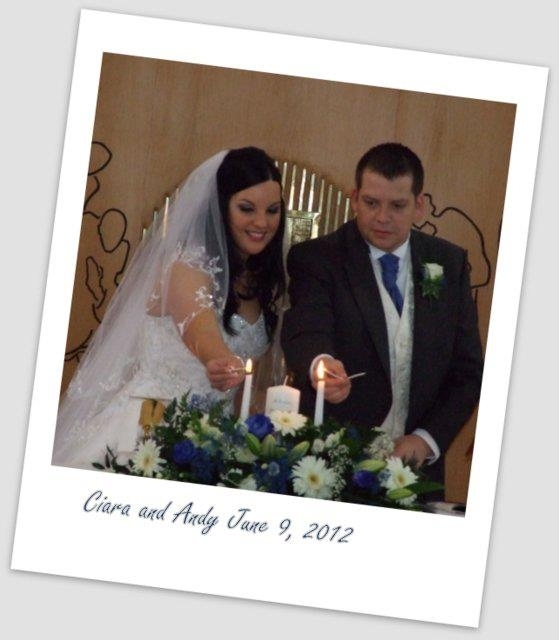 The Marriage took place in St. Asicus’s Church Frenchpark followed by the reception in the Landmark Hotel, Carrick on Shannon. 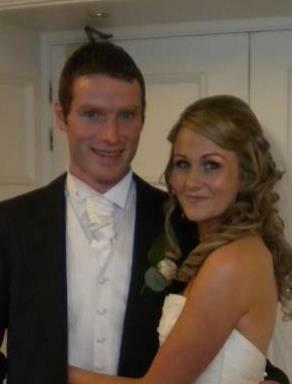 We wish them every happiness..(photo courtesy of Ciara McDonnell). Best of Luck to Aidan Cunningham who is taking part in the Batchelor of Roscommon Competition tonight 10/9/2011 in Jacks Live Venue, Roscommon. Aidan is representing “The Pepper Mill” so if anyone is in the vicinity please pop along and support him. Last Years competition raised €4,346.56 for Crumlin’s Children Hospital, a very worthy cause. 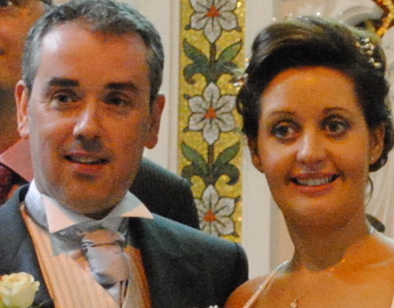 Congratulations to Walter Healy son of the late Walter and Josephine (Mally) Healy and Anne Marie Finan from Roscommon, who got married 18/8/2011 in Sacred Heart Church Roscommon, followed by reception at Glasson Golf and Country Clubwhere a great day and night was had by all. We wish them both much happiness and health for the future and hope to see both in the village regularly.